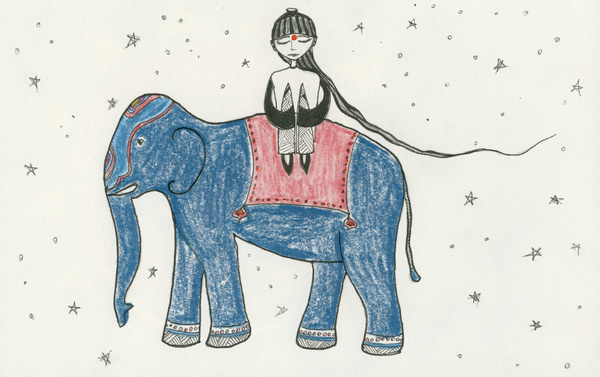 In the beginning of the year I dreamt of a girl riding a colorful decorated indian elephant. Being in the middle of a warm and heart opening rural celebration with lots of confetti and flowers and happy people. I’ve seen this image as a good fortune for the year and for the birth of my little son, which is turning out to be true. The picture is now also available for you dear magic souls in my little pillango shop.